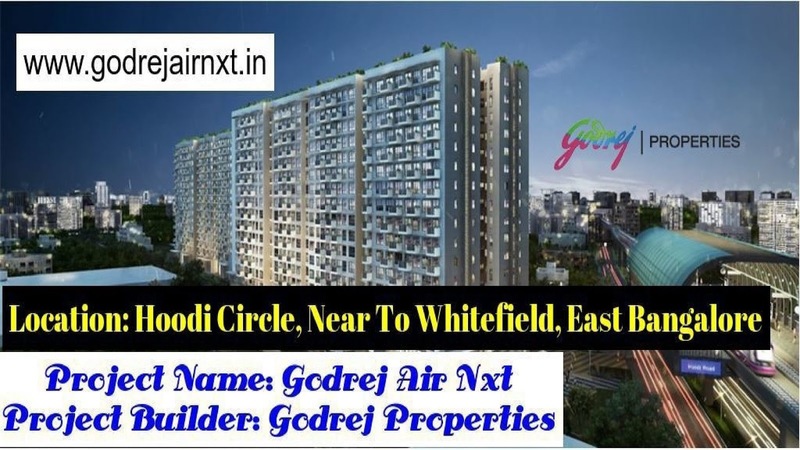 Godrej Air Nxt Bangalore - is a modern pre launch condo developed By Godrej Properties. Located at Hoodi, Proximity To Whitefield, East Bangalore. Spread over 1.29 Acres of land area. It Offering 109 Units Of 1, 3 & 4 BHK. Size Ranges from 760–3200 Square Feet. It Consists Of B+S+17 Floors. RERA Ref: AG/KN/170727/000109. Price: Rs. 61 Lakhs Onwards.